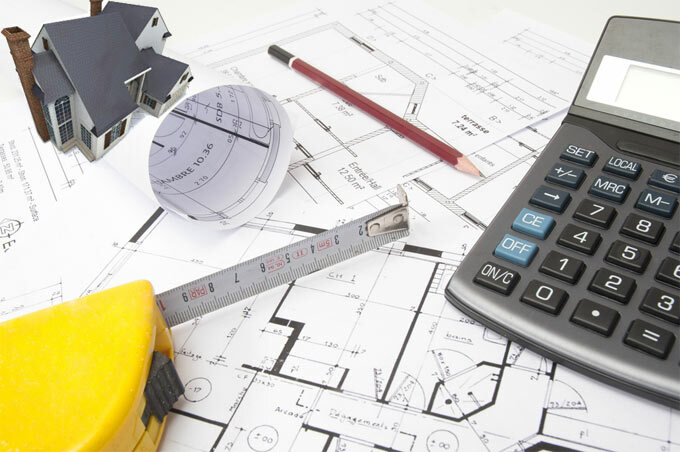 An estimator should prepare the quantity takeoff very cautiously by utilizing the existing documents like drawings, specifications and other documents related to the project. Besides, every estimate should include direct & indirect cost. Direct cost comprises of cost of materials, equipment, labour & subcontracted cost. Indirect cost comprises of overheads, contingency. Approximate estimate: It is also known as budget, preliminary estimate. It is created in the preliminary phase of a project. To provide a clear conception to the owner (client) concerning the amount of cost required for the project and to get it approved from required sanctioning bodies (eg: from banks to get loan). To make the estimate for a house, a previously (& also recently) completed similar house should be taken into consideration. Here the estimator already knows the rate for 1m2 area & with that he/she calculates the cost estimate for the newly proposed area (of similar house). Plinth area estimate: Plinth area estimate is created by multiplying the values of plinth length, plinth width & plinth area rate. Here the plinth area is denoted as external plinth area of the building at floor level. Simply, it can also be defined as the roof covered area of a building. Plinth area rate is measured by dividing the total cost of a previously constructed building by plinth area of the previously constructed building. a. Plinth area estimate = Plinth area X plinth area rate. c. Plinth area rate = Total cost of a previously built building / Total plinth area of that building. There are some limitations in measuring the plinth area of a building and some area should be taken in or eliminated at the time of calculation. Among them, the following areas can be included. Floor area containing the area of walls at floor level not including the offsets of the building, internal shafts of sanitary fittings within 2m2, lifts, air conditioning ducts, area of porch at floor level (cantilever part can’t be considered), area of barsati – a room on the terrace or roof top having veranda outside. The following areas should not be included area of lofts, open balconies / un enclosed balconies, fascia, towers which project above terrace level, louvers & vertical sun breakers. Documents like line plan with complete specifications & costs for services like water, electricity should be attached with estimate. Cubic content estimate: It is performed by multiplying the volume of the building with the unit cubic rate obtained from the previously (also recent) estimate. This type of estimate is more authenticate as compared to above mentioned methods and perfect for multi storied buildings. Here, the cost of corbelling (corbel – a piece of stone, wood, brick, or other building material, extended from the face of a wall and normally applied to support a cornice or arch), cornice and other works are not considered. unit cubic rate = total cost of the previously built building / total volume of that building. Annual repair estimate and special repair estimate - These estimates are made with the purpose of retaining the constructed element in perfect condition. Works that added while considering repair works, white washing, painting, plastering works, patching works & etc. Special repair estimate is undertaken in case the costs of materials are raised in comparison with annual repair estimate cost. Revised estimate: This estimate is made if the rate of estimate submitted earlier is raised by 5% or more than that. This type of estimate is undertaken when the cost of materials is raised abruptly. The reason and comparative statement among 2 estimates should be annexed with the corrected estimate. Supplementary estimate: This type of estimate is created when it is necessary to perform additional work in support of the original work. The annexure of natively created estimate & supplementary estimated amount of the originally prepared estimate are considered while submitting request for approval.